We have created this vintage news font family from the numerous derivatives in use for newspapers since the middle of 1800’s to the 1970’s, inspired from the well known Clarendon. Mainly, the patterns are used to print “Le Petit Journal”, a French popular Newspaper of the area (publication since 1863 to 1937). 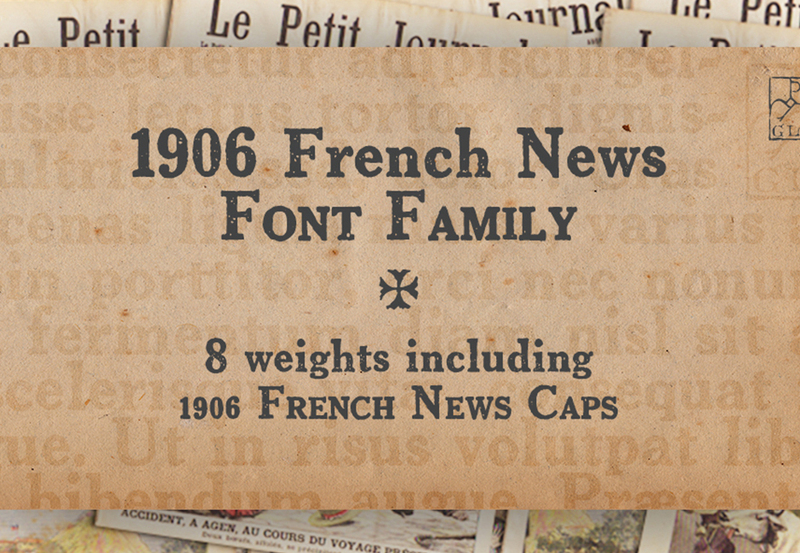 The present version contains Normal, Italic, Bold and Bold Italic styles, in two sub families: “1906 French News” for texts and titrages with upper and lower case and “1906 French News Caps”: Caps, small caps, small numerals, for texts and titrages. File size is approx 528MB (686KB unzipped), offered as a single download.